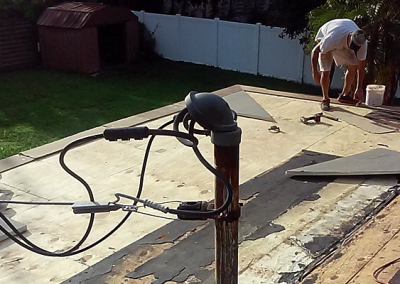 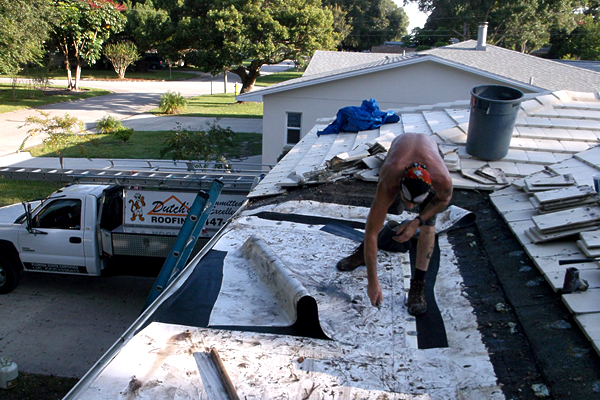 Dutch’s Roofing has installed hundreds of Residential Flat and Low Slope Roofs throughout Pinellas County. 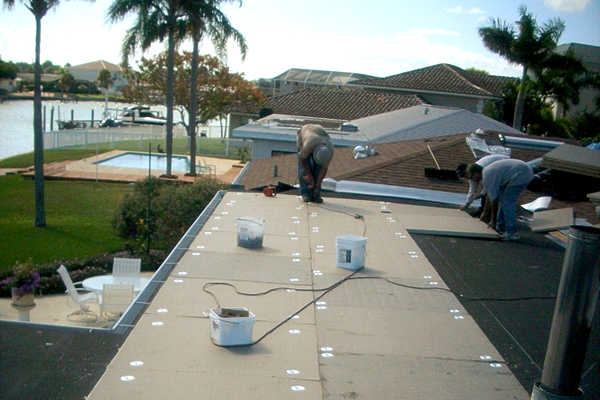 We install new Flat & Low Slope Roofs year round and offer FREE Residential Flat Roof estimates. 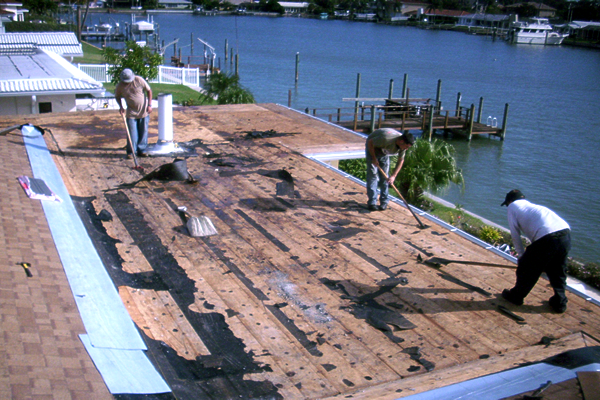 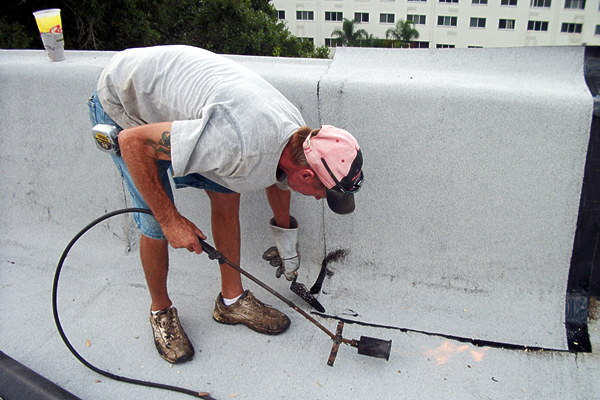 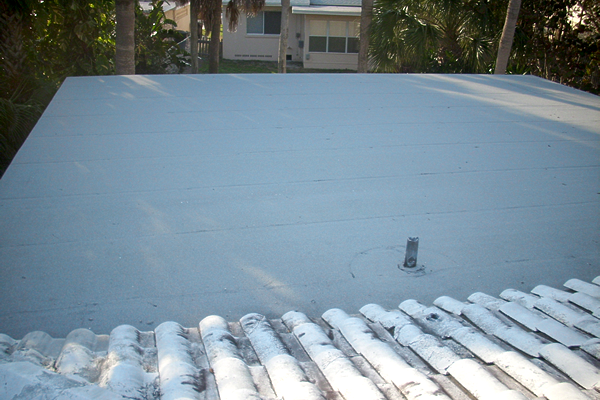 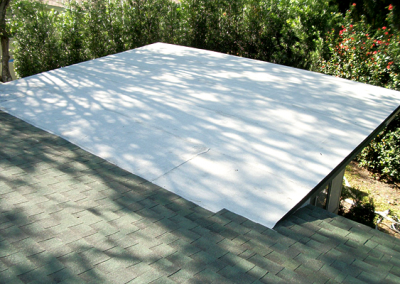 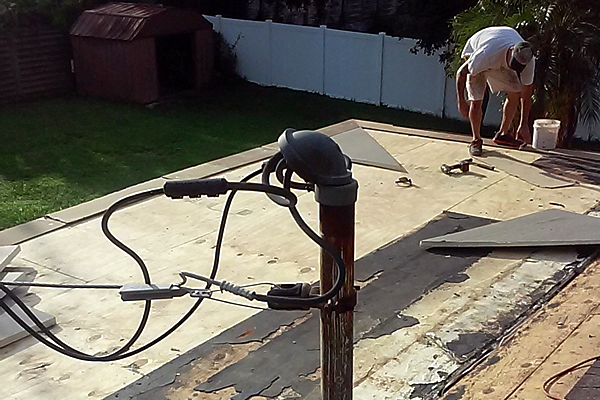 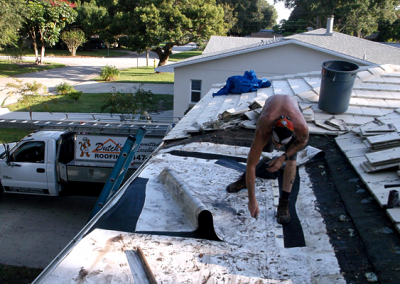 Flat Roofs have proven to be problematic for Florida homeowners. 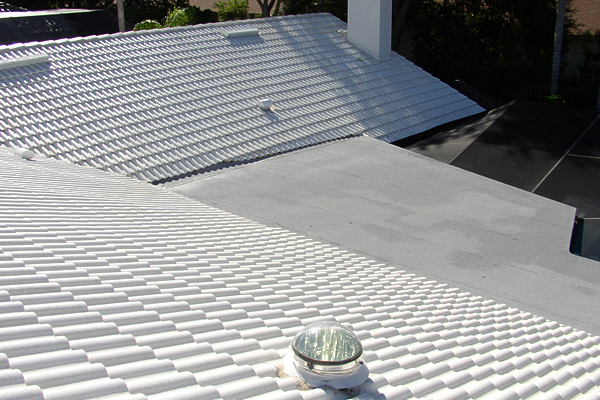 Dutch’s Roofing has developed enhanced installation methods and techniques that help overcome many of the common problems. 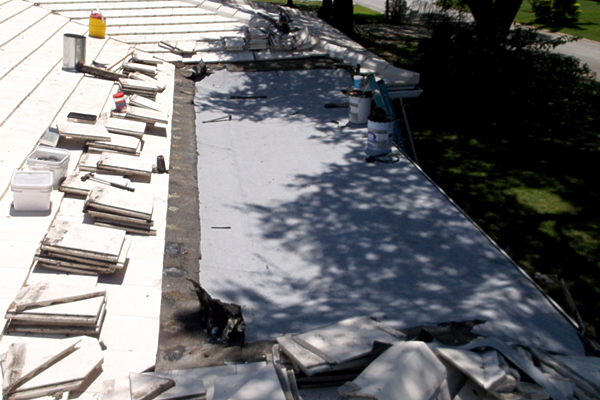 In many cases the only permanent solution for a trouble free Flat Roof is by adding a slope. 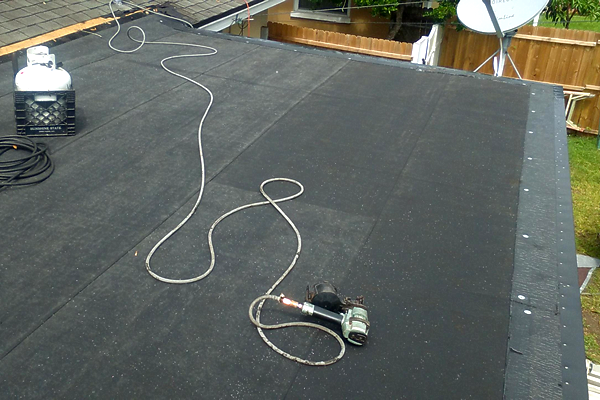 Dutch’s Roofing can install a ¼ inch per foot slope onto any Flat Roof eliminating standing water and the problems that it causes. 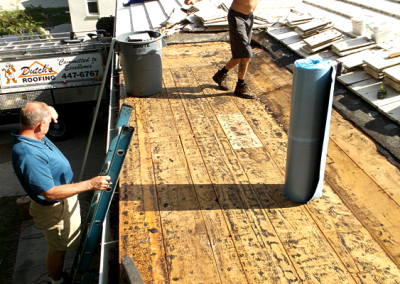 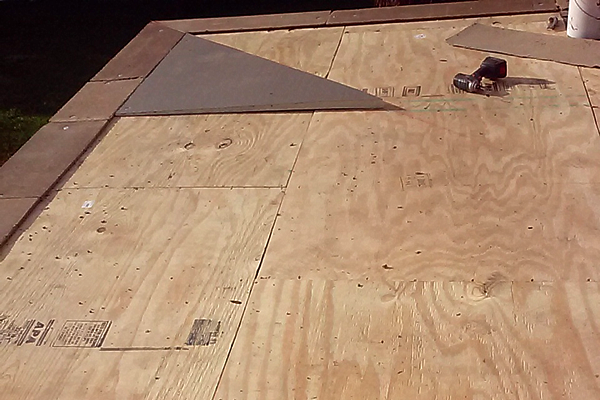 We offer up to a 15-year workmanship warranty on our Flat Roofs with a ¼ inch sloped taper system. 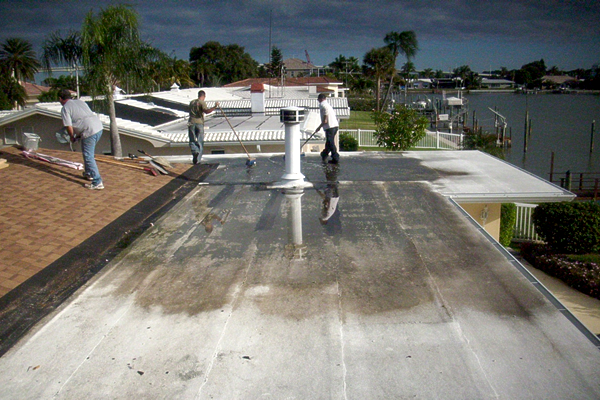 Over the years Dutch’s Roofing has developed and refined special installation techniques for our Flat Roof Systems. 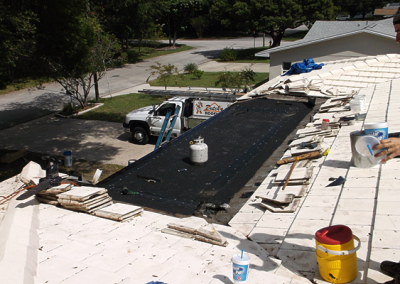 Our installation procedures in many cases exceed building code requirements and have proven to be effective in preventing leaks and extending the life expectancy and durability of a roof. 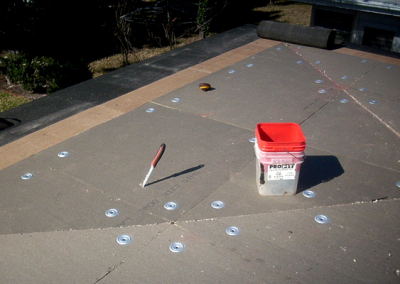 Dutch’s Roofing’s unique installation procedures, quality specification, and the use of only the best and most technologically advanced materials provide the foundation needed to produce a beautiful, durable and trouble-free Low Slope Roof System. 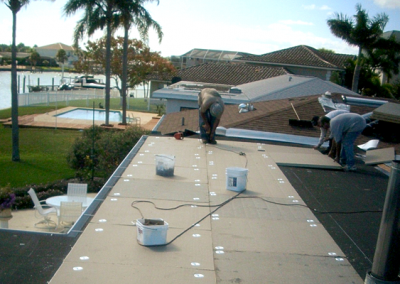 The most important part to delivering quality installation however, is workmanship. 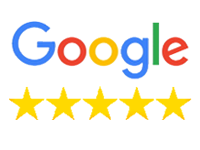 Our team of roofing mechanics are complimented regularly by customers who appreciate their positive, professional and courteous manners and are likewise impressed with the level of skill, knowledge and conscientious attention to detail the team exhibits. 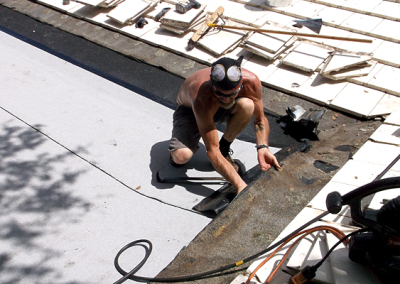 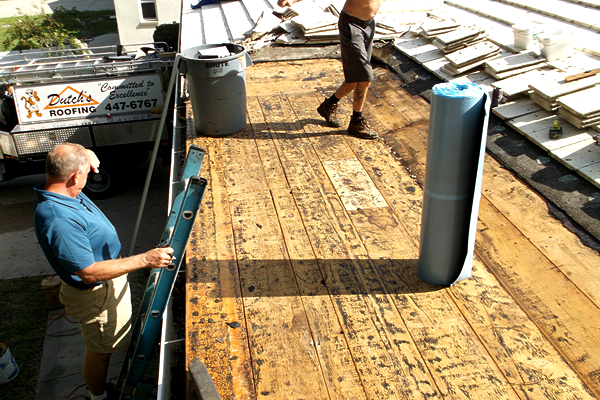 Dutch’s Roofing Flat Roof Systems carry an unparalleled workmanship warranty of up to 15 years. 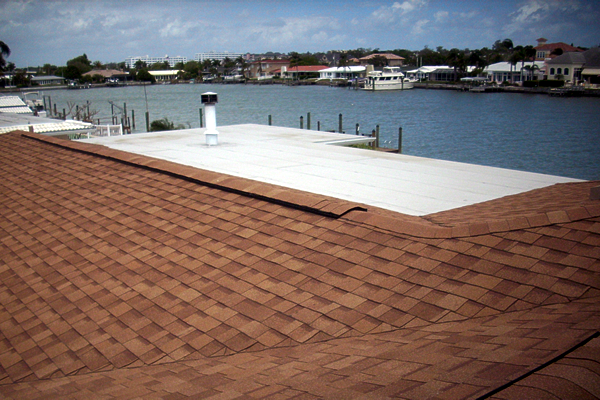 That provides you with a roof that not only looks beautiful but gives you the peace of mind knowing you and your home will be well protected and secure regardless of how severe the weather conditions. 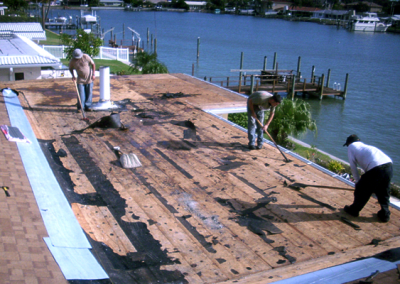 Click on any image to view our Wood Repair Gallery in a larger format. 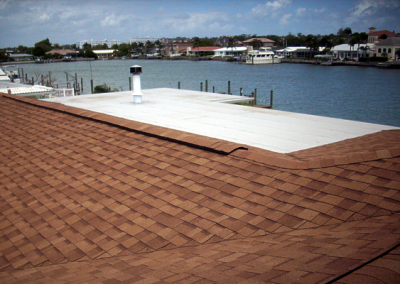 At Dutch’s Roofing we pride ourselves on being well educated and maintaining a high quality of product for our customers and this includes informing them as to what each of our services actually entails. 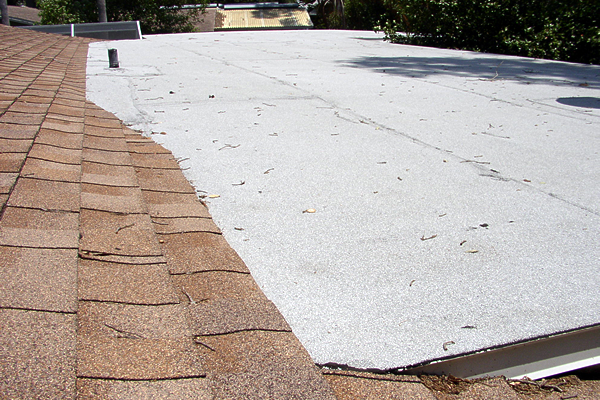 We can use whatever roofing materials needed to make a flat roof, from shingle to tile and graphite to metal. 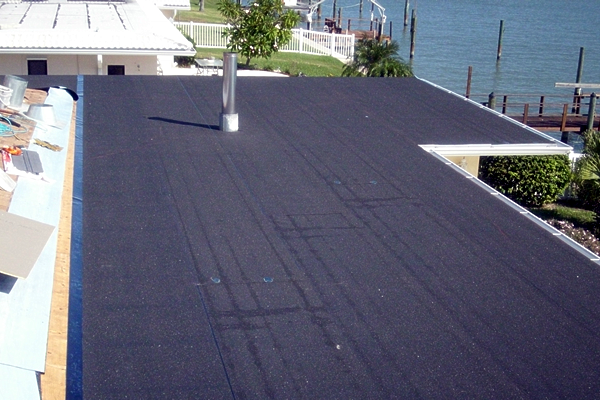 The roofing materials that our customers choose will delineate the aesthetic appeal the surface will have for our clients’ but the flat roofing pitch will be there. 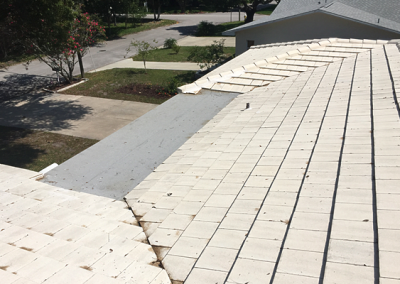 We are in the business of making stable and secure roofs and a flat roof is not structurally sound without any incline whatsoever. 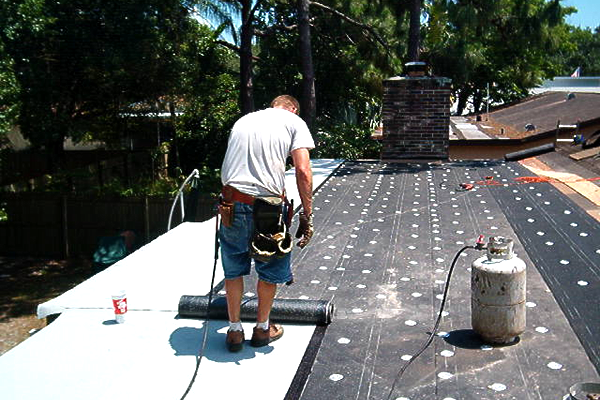 Flat roofing is another style of roofing that can set your house or building apart. 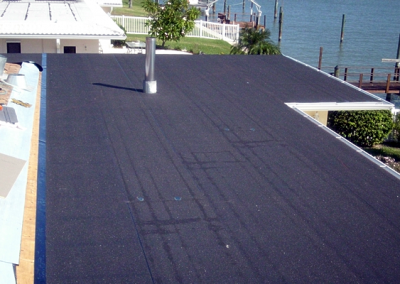 Flat roofing is a mostly level style of roofing that has a minimal incline that allows water and the natural elements to flow off it better while giving the appearance of being flat. 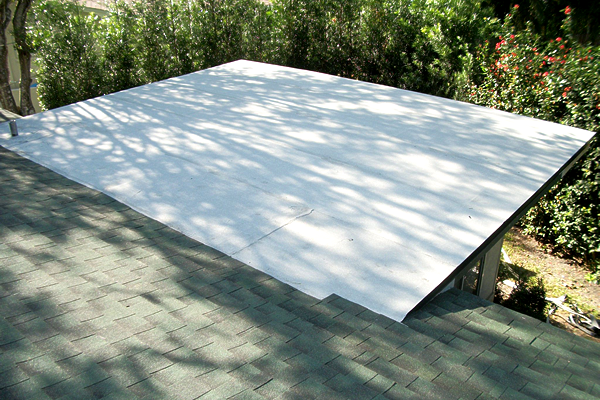 Flat roofing is layered so that the tile, shingles, wood or metal roofing being used can be laid on a layer of other material to give it durability and security. 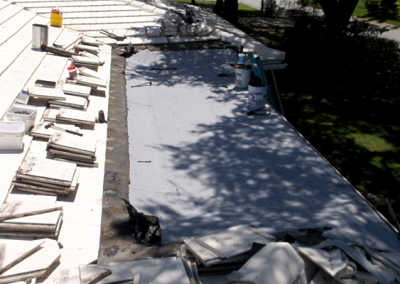 No flat roof is truly flat, as long as it is meant to be architecturally sound. 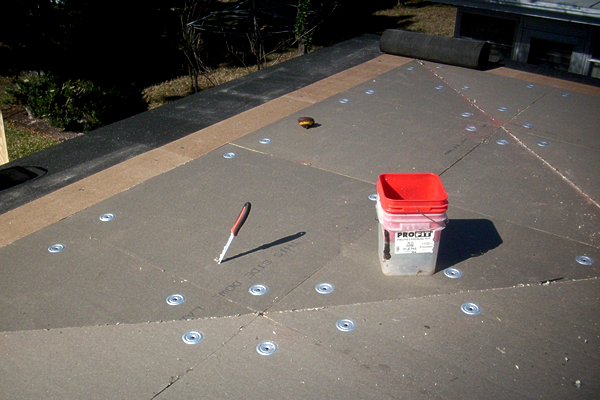 The flat roofing pitch is slight, but existent and as mentioned before this is to prevent water from pooling and the elements from striking and staying. 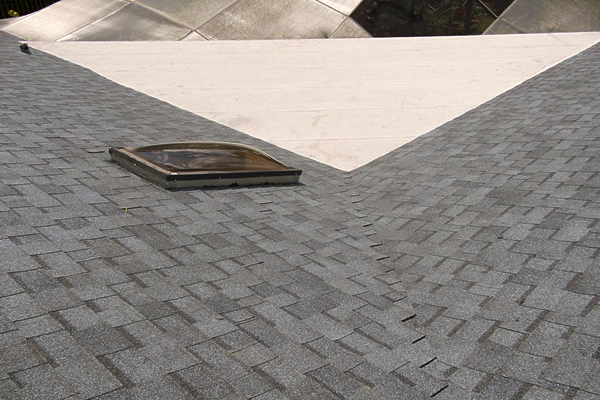 Take hail for example; when hail strikes a sloped roof, it hits and then bounces down and off the roof. 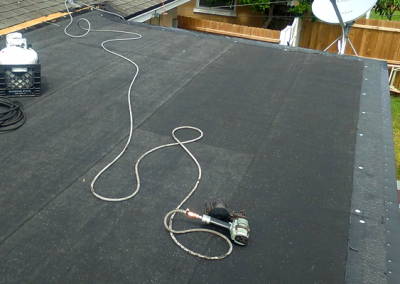 A flat roofing pitch would have a similar occurrence, although not as noticeable because the slope of the roof is slight. 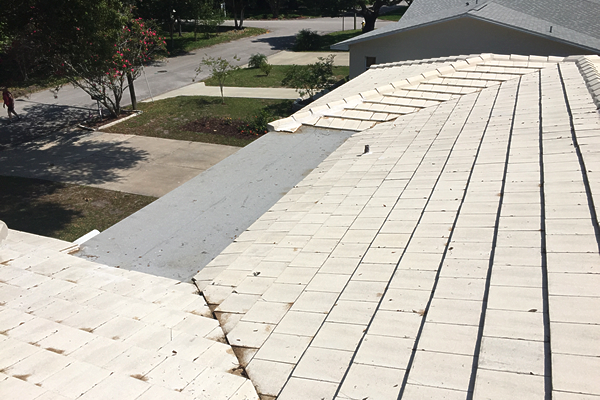 A truly flat roof would be struck and then the hail would bounce until it lost momentum as it would have no direction to go anywhere else. 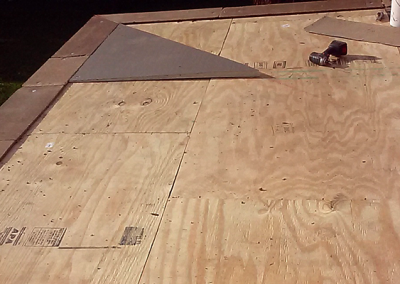 It’s basic physics.